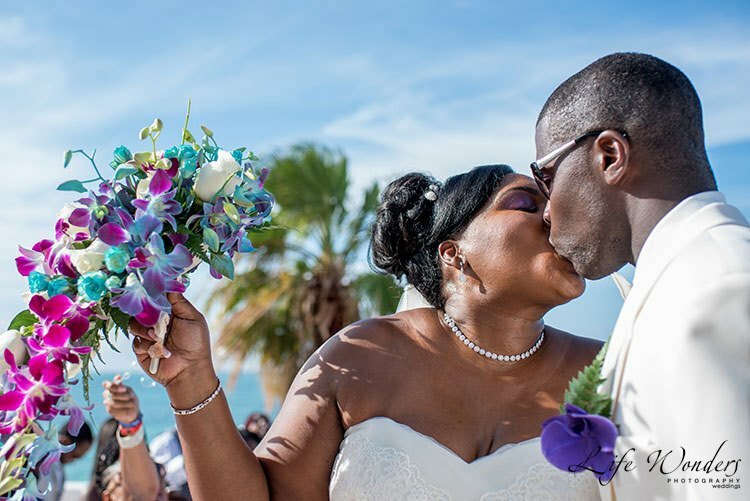 All Riu Resorts weddings that I have had the honor of photographing have been so beautiful. Located on some of the best beaches throughout Mexico, Riu resorts combine top-notch amenities with unique architecture for weddings that bring a big smile to every guest’s face. The stunning landscape at Riu Palace Las Americas was the perfect backdrop to capture the romantic photos of Jade and Andrew by the bright blue sea. Riu is known for its stunning Riu Palace resorts, which are more upscale and luxurious than standard Riu hotels. Riu resorts will simply take your breath away with their charm. 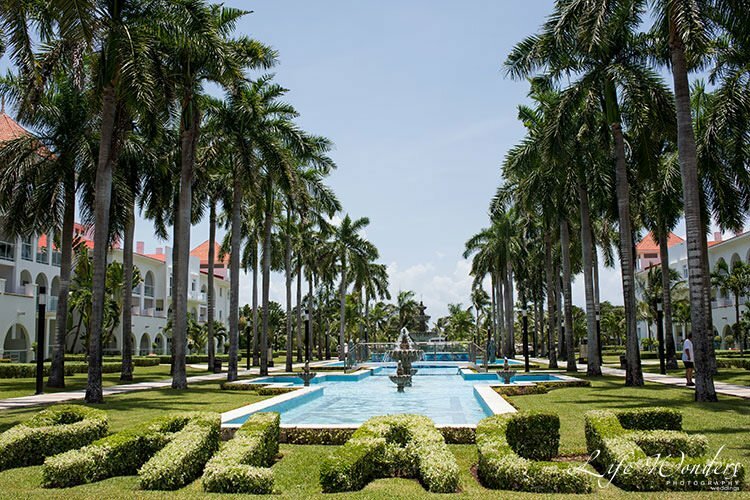 The architecture is classic and elegant, and the vibe of Riu Palace resorts is more sophisticated overall. 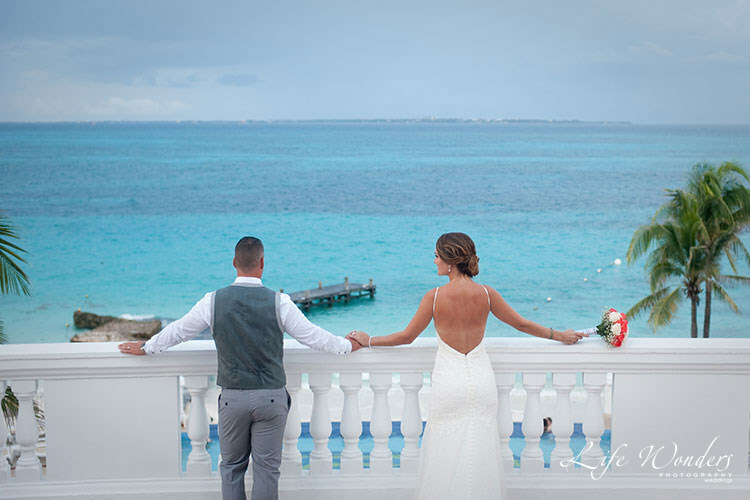 Hotel Riu Palace properties in Cancun are popular choices for couples who want that “fairy tale” wedding feel in their destination wedding in Mexico; it truly feels like you are whisked away to a regal palace paradise. Most of the other Riu hotels and resorts in Cancun have a relaxed, beach-y vibe. They really highlight the tropical atmosphere of their locations, with fresh fruits, tiki cocktails and huge pools for guests to lounge around in. Riu hotels and resorts are perfect for people who like to party, too! There are tons of activities to join in, at any time of the day or night. 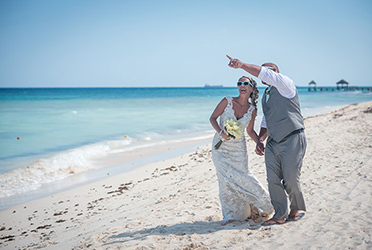 Some Riu hotels are adults-only, which lend them a more romantic, sophisticated vibe — but it’s especially important to know if the Riu hotel you may want to host your wedding in Cancun is adults-only, if you are planning on having guests with children attend. 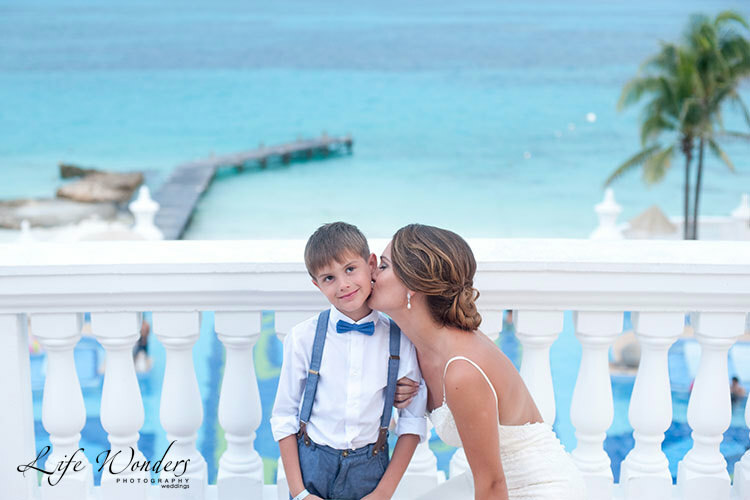 At Dana’s lovely Riu Palace wedding, I quickly captured Dana giving her nephew a lifetime memory, and the backdrop is a dream come true! I love his expression, so warm and inviting – and with the Riu’s location it is priceless. This bright, modern hotel offers stunning views of the sparkling turquoise waters of Mexico. The hotel Riu Cancun underwent a major renovation in 2014, and now it gives off a young, hip vibe with 10 restaurants, bars, 3 pools, and a nightclub. 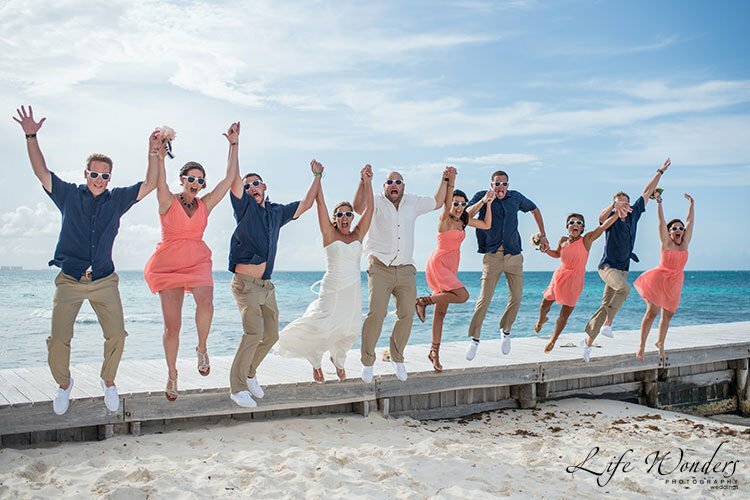 Angie & Michael had their Riu Cancun wedding in this hotel and had a blast with their closest friends and family. While just down the beach from Hotel Riu Cancun, this resort feels worlds away, thanks to the upscale, elegant feel of the Riu Palace hotels. Dramatic archways, columns, and statues evoke the Old World architecture of Europe — but guests get to enjoy the warm sun and sand of Mexico! For more information and photos of the Riu Palace Las Americas resort, check out our in-depth blog post here. 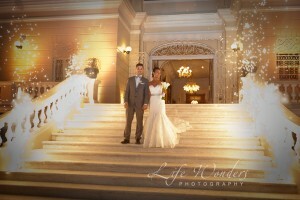 Dana and Vlad had some amazing portraits with the Riu Palace resort as the backdrop. Their photos have a dramatic and luxurious vibe. 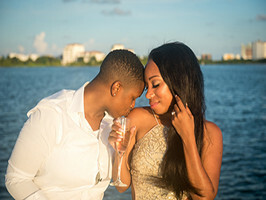 Take a look to their wedding portraits album for more photographs. 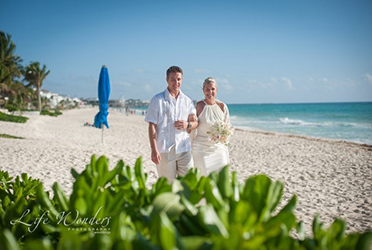 A Riu Palace Playa del Carmen wedding is a great option for Playacar destination weddings. 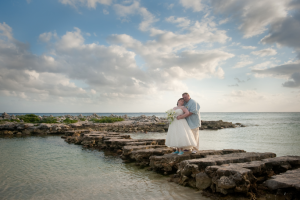 Sierra and Austin had incredible photographs taken inside and outside of the resort! 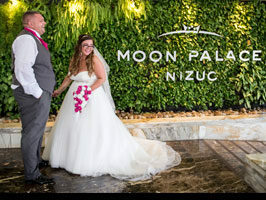 The architecture and landscape of Riu resorts is greatly varied, which means you have a lot of options when it comes to backgrounds for your wedding portraits. Plus, the grounds of every Riu resort I have been to are simply stunning. 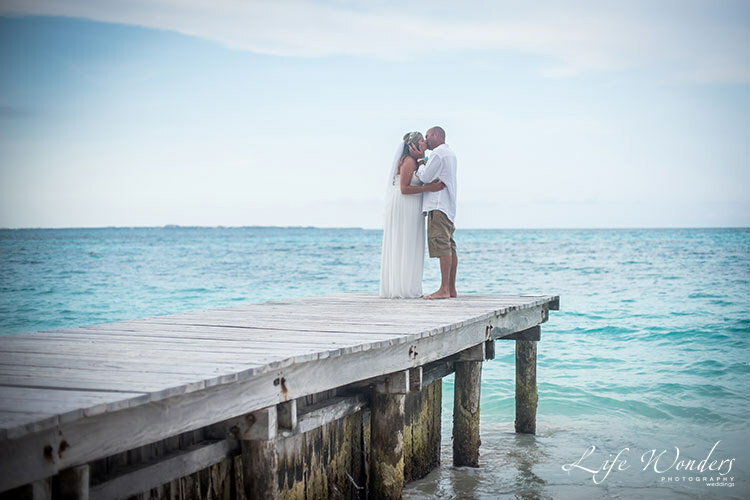 For example, the Palace hotel in Cancun has a beautiful terrace, sprawling grand staircase, and a pier that extends out over the water — these make for dramatic, romantic backdrops for wedding photos. Riu resort sizes are well thought out to create a nice experience. There are a lot of “mega” resorts in Mexico — they are so big you can get lost in them! I like the Riu resorts and hotels for weddings because they are a smaller, more manageable size. 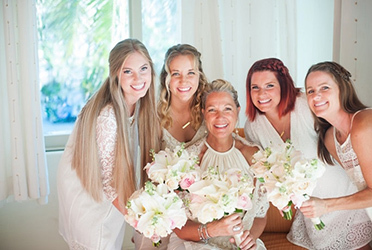 You get to spend more time with your wedding party and guests throughout your stay, since you will tend to congregate together in the same areas. Riu makes dealing with bad weather easy. You always have to plan for the possibility of rain if you host your wedding outside. At Riu resorts, that’s not a problem, since they have lots of options for hosting ceremonies inside. 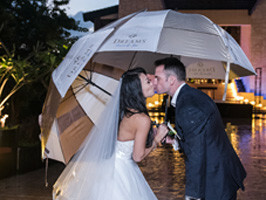 I have captured some beautiful photographs of couples at Riu seeking cover inside the resort’s breathtaking buildings. Boulevard Kukulcan, Km 8.5, Manzana 50, Lote 4, Zona Hotelera. Cancún. Blvd. Kukulcan, Km 5,5, Lote 6-C, Zona Hotelera. Cancún. Avenida Xaman-ha, Manzana 3, Lote 19, Condominio Playacar. Avda. Xaman-Ha, Manzana 20, Lote 1, Condominio Playacar. Playa del Carmen. Avda. Xaman-Ha, Manzana 3, Lote 4, Condominio Playacar. Playa del Carmen. AV Xaman-Ha Mza 9 Y 10 Lote 1 INT. FRACC. Fase II Solidaridad. Playa del Carmen. Avenida Xaman-Ha, Manzana 6, Lote 6, Condominio Playacar. Playa del Carmen. Avenida Xaman-ha, Manzana 3, Lote 1, Condominio Playacar. Playa del Carmen. 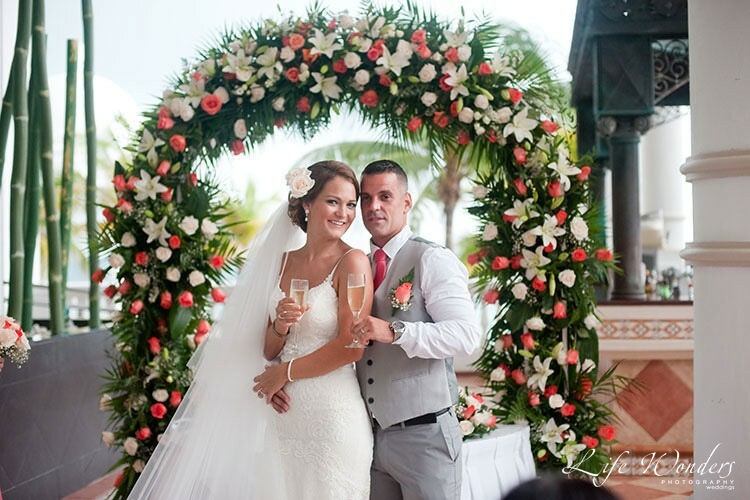 I have worked with many couples as they have picked and planned their destination weddings at Riu resorts. 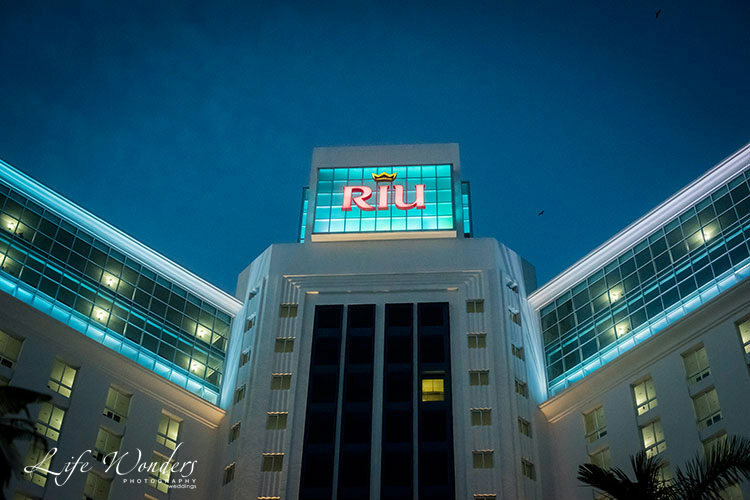 Riu makes planning easy — but I have noticed that sometimes the couples I work with make the same mistakes, or are not aware of crucial information about planning a Riu wedding. 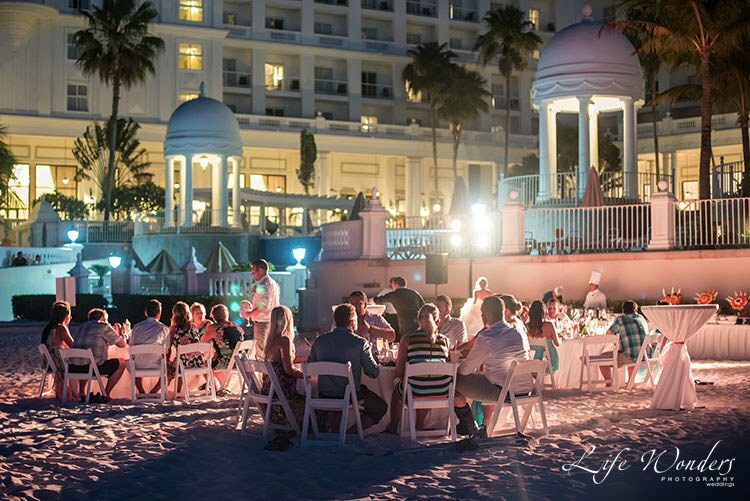 One thing to know is that if you want a private venue for your wedding that’s reserved only for your party — like a private dinner on the beach — you will need to work with your wedding coordinator to make it happen. 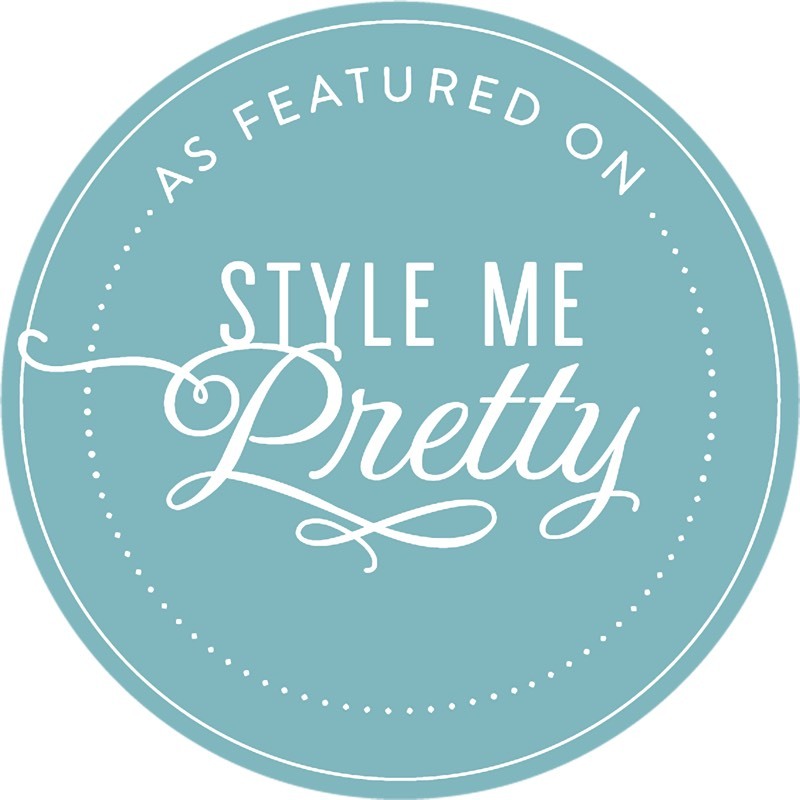 This is a beautiful option (and prevents other resort guests from accidentally stumbling into your wedding!) but it takes just a little extra planning. Furthermore, I see a lot of couples confused about the wedding booking process. Many couples think they only have to book what day they want to host their ceremony at Riu — but that is not the case. Riu resorts host many weddings on a daily basis, so make sure you choose both your desired ceremony day and time when you book. Afternoon ceremonies are very popular, so if that’s what you desire as well, make sure you book as early as possible! 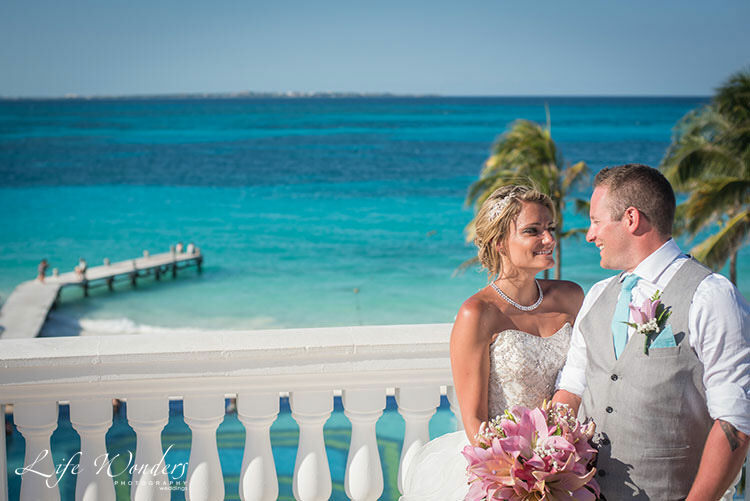 Finally, I would say that Riu weddings are a breeze to plan because the staff are so easy and fun to work with, and they are attentive to your every need. 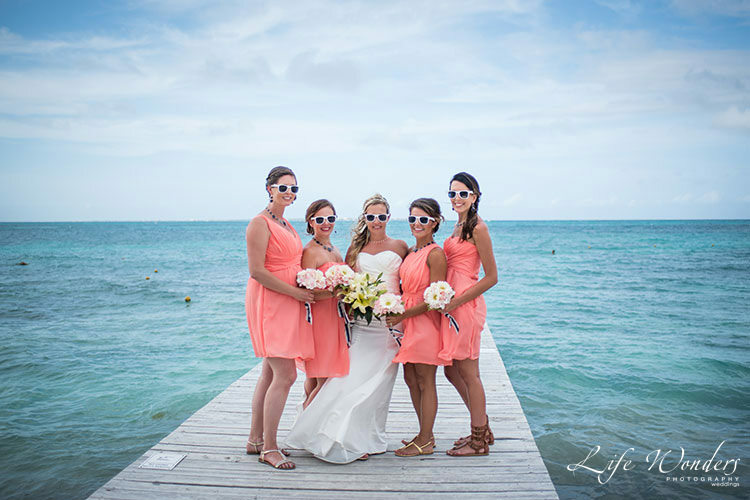 I have worked with Riu wedding coordinator Jennifer in the past, with outstanding results. I would be happy to refer her to any couple thinking of hosting their wedding at Riu — just get in touch and I will share her contact information with you. 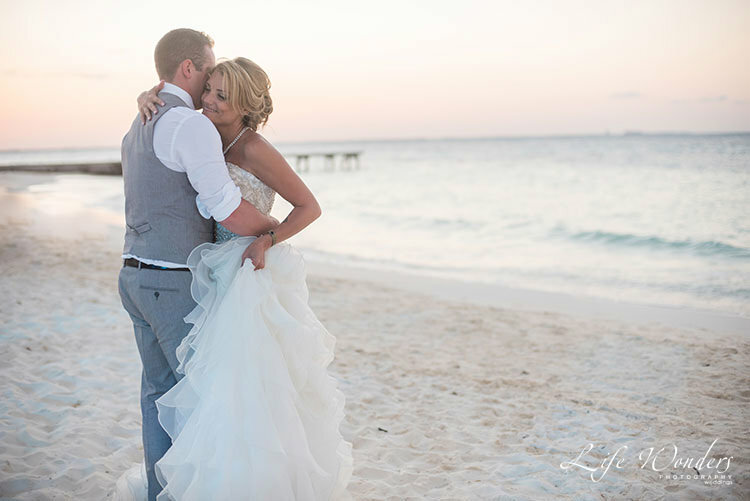 To make this quick and easy for you, I have spoken to the Riu wedding coordinators and wedding executives to find the best and most effective way for you to quickly plan your Riu destination wedding with little stress and anxiety. 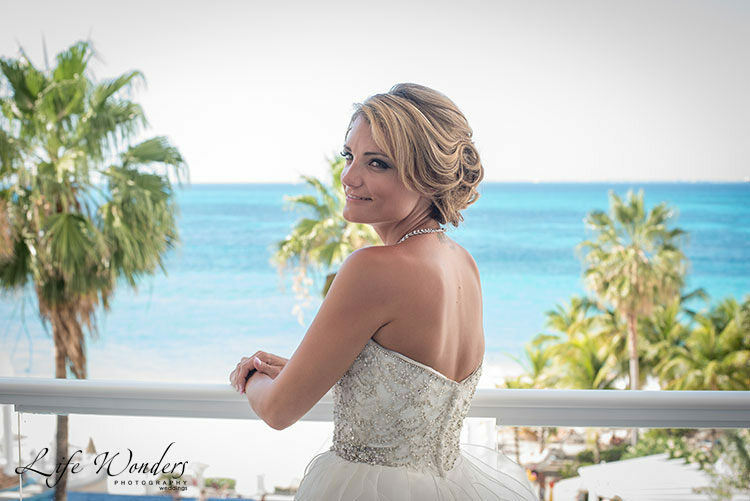 After the getting ready photo session, Jade had plenty of time to relax and enjoy the view from her private room in Riu Palace Las Americas. The first thing to understand is how Riu organizes its wedding departments. They have 2 teams to help deliver a high quality, customer-friendly wedding to you and it is a great system. The first team is the Wedding Reservation Executives and the second team is the Wedding Coordinators. The reservation executives will work with you to plan and choose your wedding package. This includes choosing the type of wedding you want, the different vendors (photography, flowers, outdoor reception, ceremony style, etc), time and place. 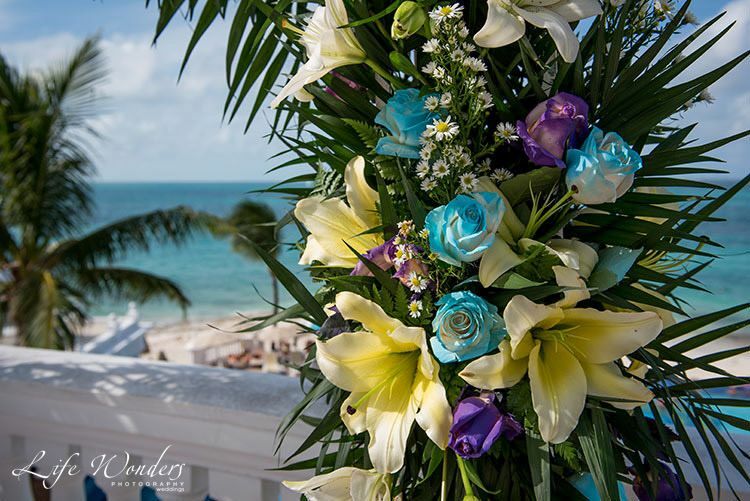 Danielle and Elton’s decorations for their ceremony in Riu Palace were full of blue and purple roses and yellow flowers. It looked fun and also luxurious. The wedding coordinator takes this and creates the actual wedding at the resort. They are responsible for making your dream wedding come true at the resort on your wedding day with all the little details taken care of so you can elegantly walk down the aisle with a smile, worry-free. Why have I told you all this? It is because many brides speak to the wrong Riu wedding representative when they have questions or concerns. When you know this difference, then you will know which person you need to talk to and you will get your questions and concerns answered much more quickly. The best way to remember this is you start with the reservation executive and end with the wedding coordinator. 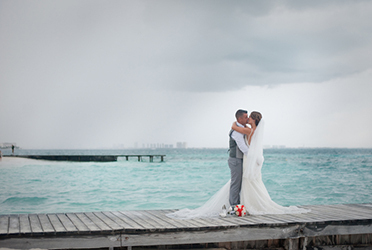 Jade and Andrew’s first dance was next to the Cancun seashore. Don’t they look cute and so in love? I am excited to inform you that I am interested in booking my wedding at the (name of the Riu resort) in (city). Can you please send me your wedding information package and who I can speak with to discuss this further? *I added a little Spanish at the end of the email. It is always received nicely. You are welcome to change the sample email as you want. After you send your email to the reservation team a reservation executive is assigned to you. They work Monday through Friday, so if you send your email on the weekend, expect to hear back when the week starts. The Reservation executive will put together a general wedding information package (all electronic PDF files) and will reply with all this information via email containing attachments. Read everything. Read all the fine print. If you have questions, send them via email to your reservation executive. Sierra and her bridesmaids were so playful and excited for the big day. We couldn’t wait to take wonderful photos in Riu Palace Playacar’s garden. This is the fun part. Start working with your Riu Executive and decide on a wedding package that best meets your dream wedding. If you are using a Travel Agent or a Wedding Planner to book your wedding they will work directly with the reservation executive. When you are deciding on your wedding package ask your Riu Reservation executive what is included in their package and what is extra. Ask about the extra fees. Have them send it to you in writing so there is no misunderstanding. 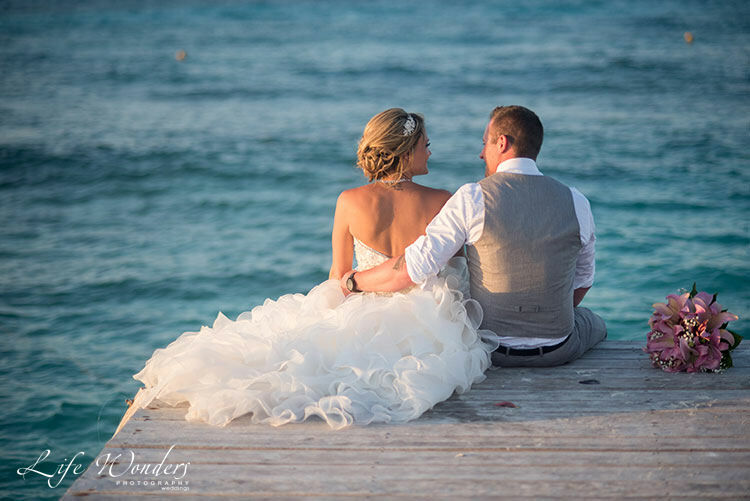 Do not let these extra fees deter you from having a Riviera Maya destination wedding of your dreams. Most brides are happy they paid a little bit extra to get exactly what they wanted. After all, this is one of the biggest special events in your life. 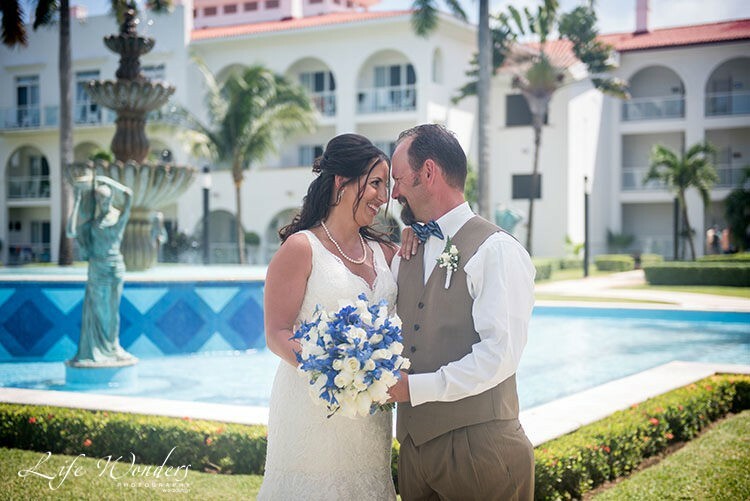 Danielle and Scott had a small and lovely wedding in Riu Palace Playacar. They were always showing their love and I loved to photograph those private moments. Most resorts will have vendor fees for external vendors to come to the resort and provide you services. Read this article to read more about Vendor Fees and how to negotiate them. Riu resort has a small, reasonable fee. Riu resort will provide you their wedding photographer name. Contact them and see if you like their work, the photograph package they will provide, etc. Read my article about choosing an on-site resort photographer and what questions to ask and what to be aware of. If you want me to photograph your wedding, I would be delighted to capture your special day and provide you a collection of wonderful memories that you, your family and friends can cherish for a lifetime. Dana and Vlad were a fun and very spontaneous couple. 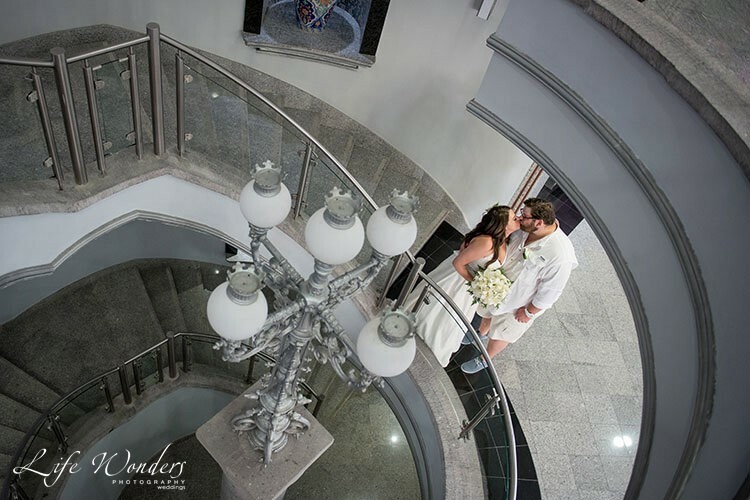 I loved being a part of their big day in Riu Palace Las Americas. 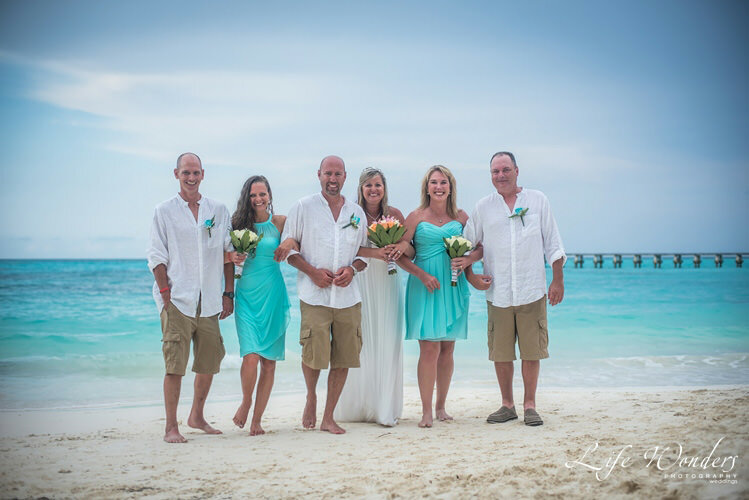 I have photographed at most of the Riu resorts in the Riviera Maya and have a very nice relationship with the reservation team and the wedding coordinators. 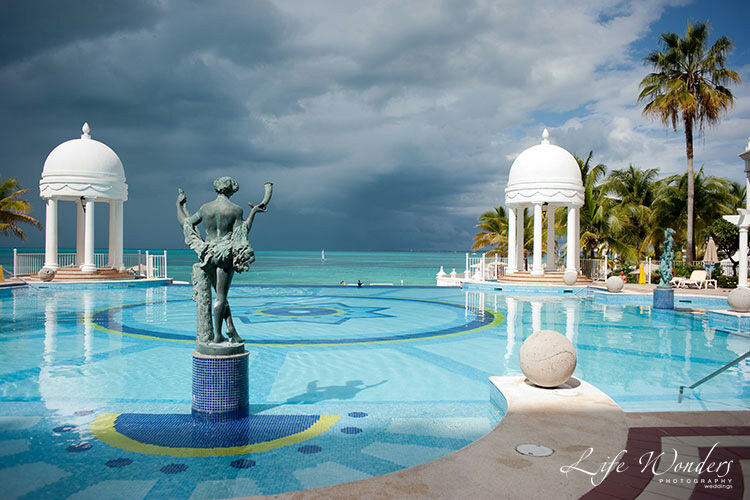 Riu has wonderful resorts and we will capture beautiful moments together. Click here to download my price list and see which package best fits your needs. Once you have verified your package and the dates with the Riu executive, they will provide you a Wedding Confirmation Code. Once you have this code, you are ready to reserve your Riu wedding. This is one of the most important steps. Once you are happy with your wedding package and have negotiated your price, you are ready to confirm your wedding. When you confirm your wedding, you are reserving your date and informing Riu that you have chosen them to create your dream destination wedding. Most couples make the mistake of only reserving their wedding date with the resort. The Riu has various morning and afternoon times for your wedding reception. For great photographs, you want to try and reserve a late afternoon wedding. Read this article about the best times for great wedding photographs. Enter the confirmation code you received from your Riu Reservation Executive. You will be asked to enter your credit card. Do not worry, it will not be charged. All charges will be payable at the resort. Once you have completed Step 5, you will receive a confirmation voucher email which confirms your wedding. You will receive information about your wedding coordinator as well. Congratulations! You have now committed to a day to marry the person you love and be with them for the rest of your life! I am so happy for you! It a was a sunny day for Danielle and Elton’s wedding in Riu Palace Las Americas. Their photos are just fantastic, as their passion shines through in all of them. If you want to make any changes to your wedding package, between the time you reserve your wedding and your wedding day, speak to the Reservation Executive. If you have any last minute changes to the specific details of your wedding setup, contact your Riu wedding coordinator. Your Riu wedding coordinator will normally contact you three months before your wedding, to verify your package, preference and get any questions answered to make sure you have a beautiful day! 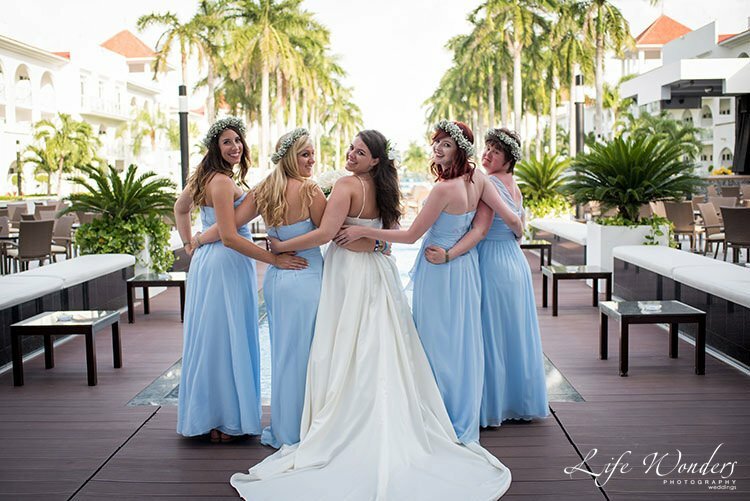 As you can imagine the Riu wedding coordinators are very busy each day with making sure weddings just like yours are set up beautifully, are inspirational and everyone in the wedding party is taken care of and happy. In between doing this, they are preparing for upcoming weddings, answering emails, verifying all the setup details are in place, etc. Enjoy your time and be patient with them when you send them an email. I love to catch those little moments where the couple is enjoying their destination wedding in a magical place, like this Riu Palace. Once you have your wedding date confirmed at the Riu, contact me and let’s talk about your special day. To get started, send me your wedding details and I will walk you through the different photo sessions you can have on your wedding day and learn what you envision for your photographs so we can create a beautiful collection of photographs. I will enhance it by giving you more ideas and then I will provide you tips so you can have a relaxed and enjoyable wedding day. Write your note here. Please tell me a little about yourselves and what you have planned for your wedding day.